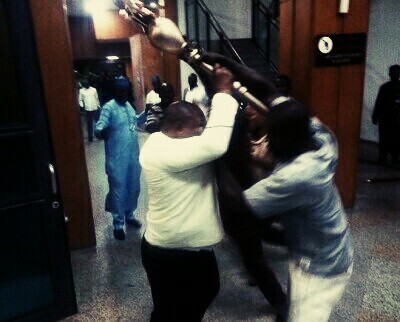 The Nigerian Senatorial mace reported stolen today during the Senate sitting. During the Senate plenary today presided by Ike Ekweremadu, the deputy Senate President, a gang of armed men stormed the Senate distorting the peaceful deliberations and stole the Mace- the Senate's constitutional power to hold a legitimate plenary. 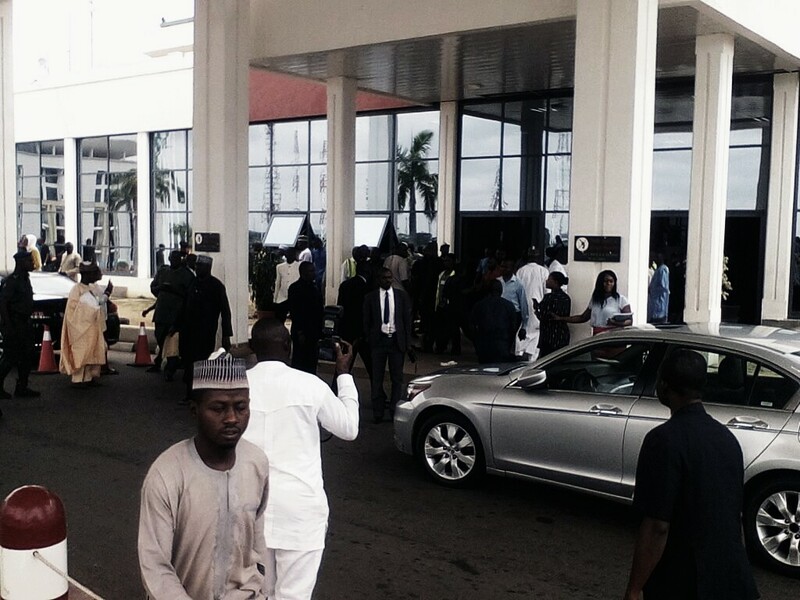 The threat is assumed to be unrelated to Senator Ovie Omo-Agege who was suspended last week by the Senate. The deputy Senate president who later calmed his colleagues said that he takes it to be a threat to our democracy and would not be disposed from his constitutional duties.